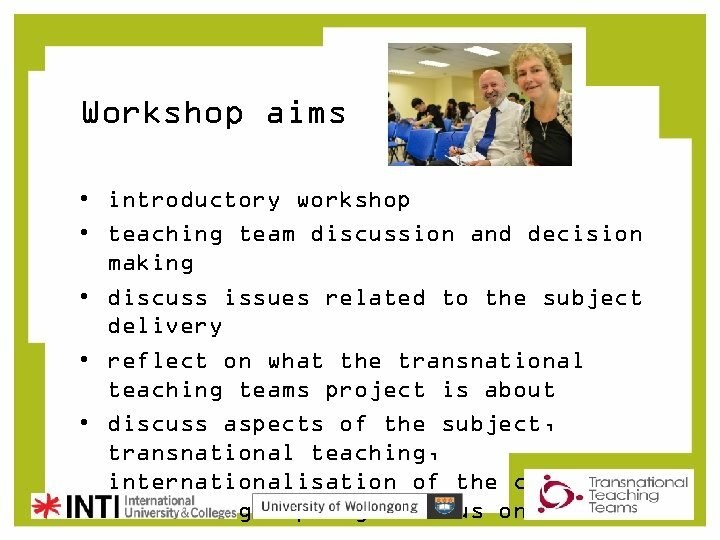 Workshop aims • introductory workshop • teaching team discussion and decision making • discuss issues related to the subject delivery • reflect on what the transnational teaching teams project is about • discuss aspects of the subject, transnational teaching, internationalisation of the curriculum that the group might focus on. 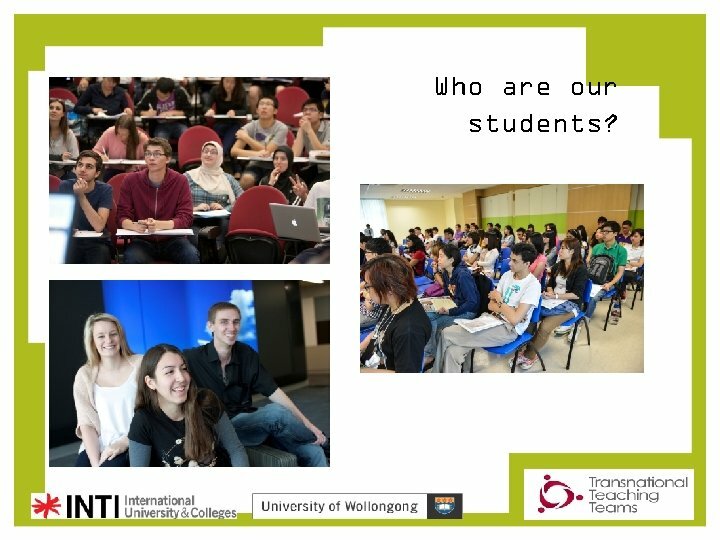 Based on what you know about the project so far, what do you want to get out of participation in the project? 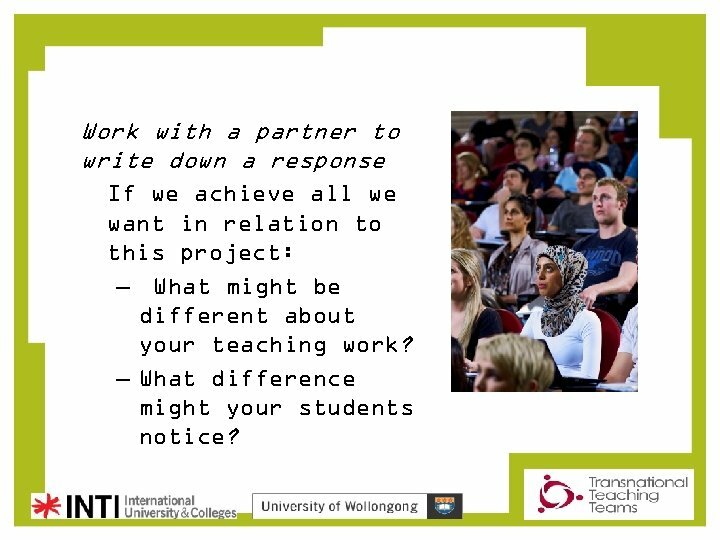 Work with a partner to write down a response If we achieve all we want in relation to this project: – What might be different about your teaching work? 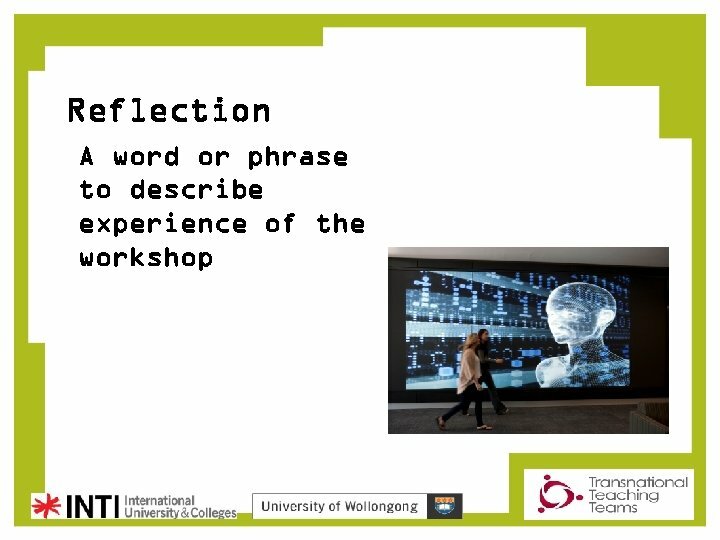 – What difference might your students notice? 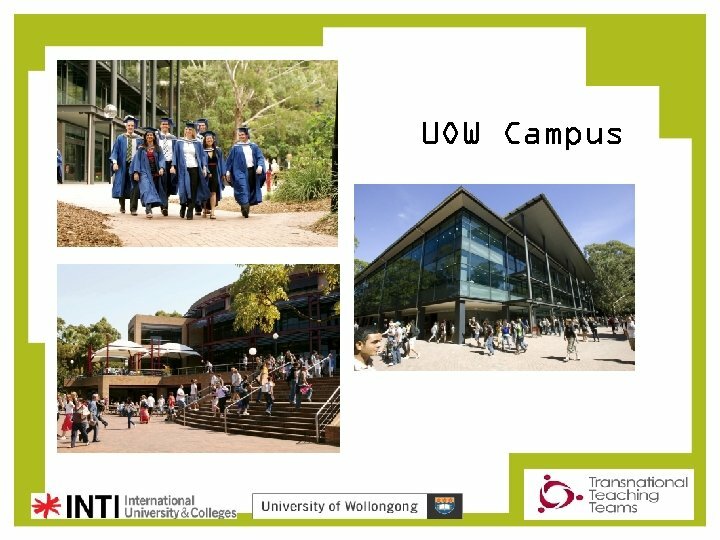 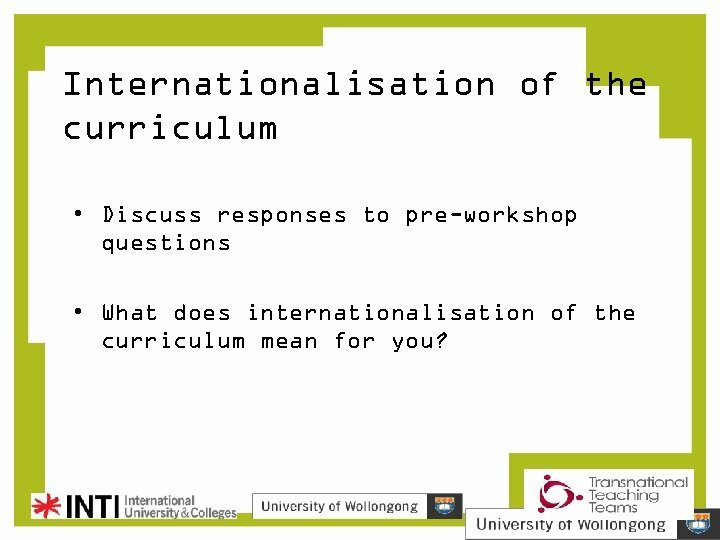 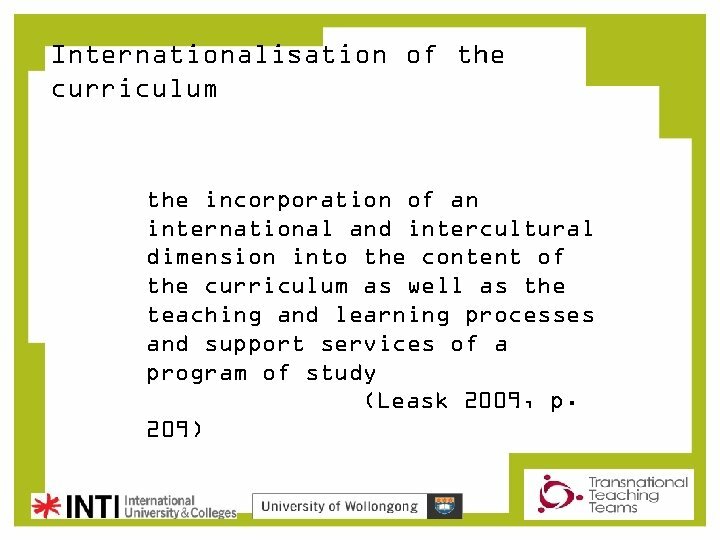 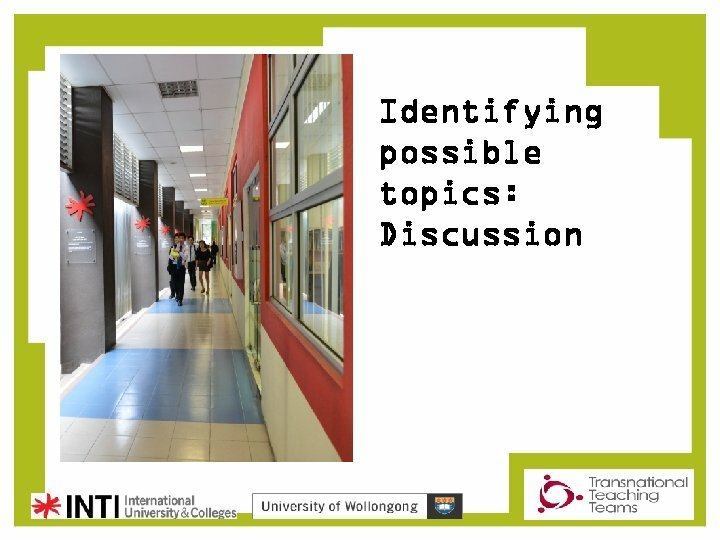 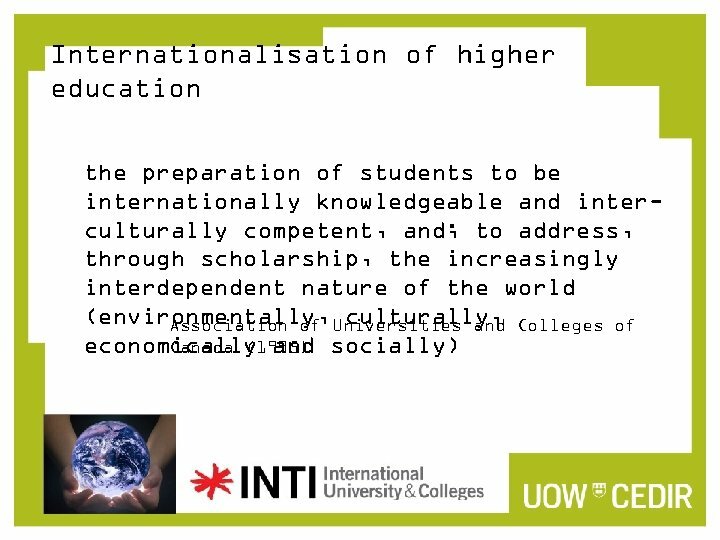 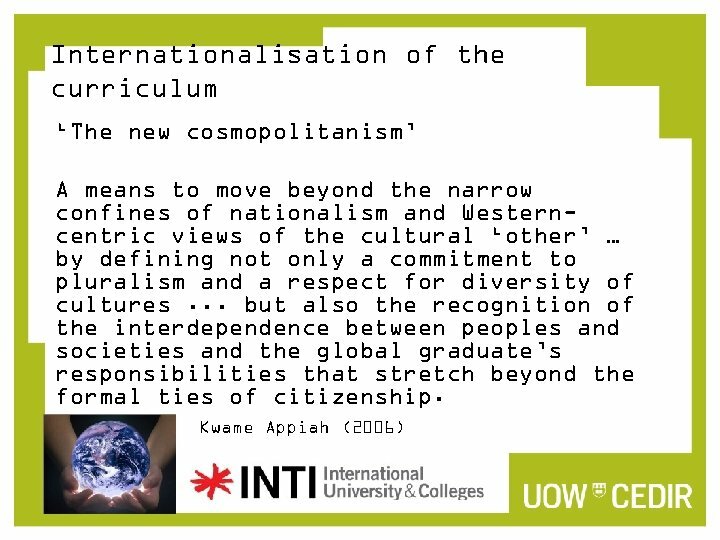 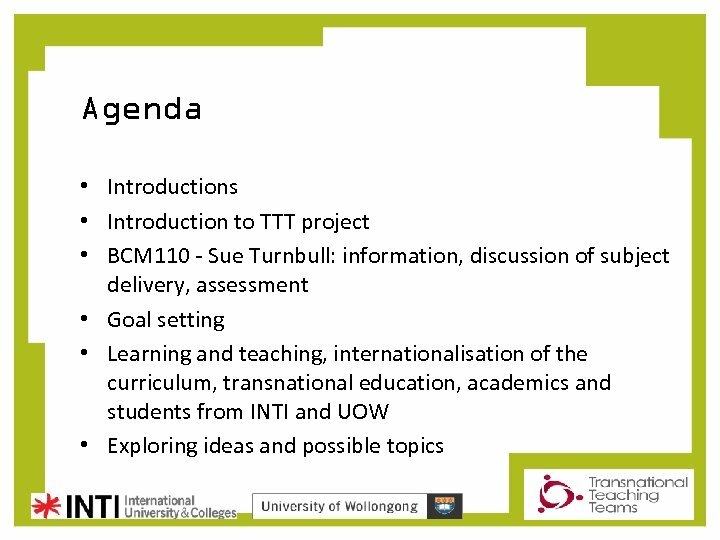 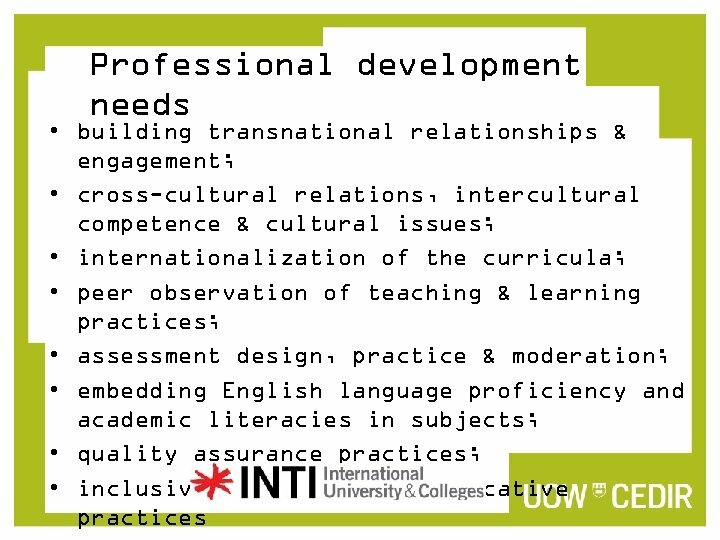 Internationalisation of the curriculum • Discuss responses to pre-workshop questions • What does internationalisation of the curriculum mean for you? 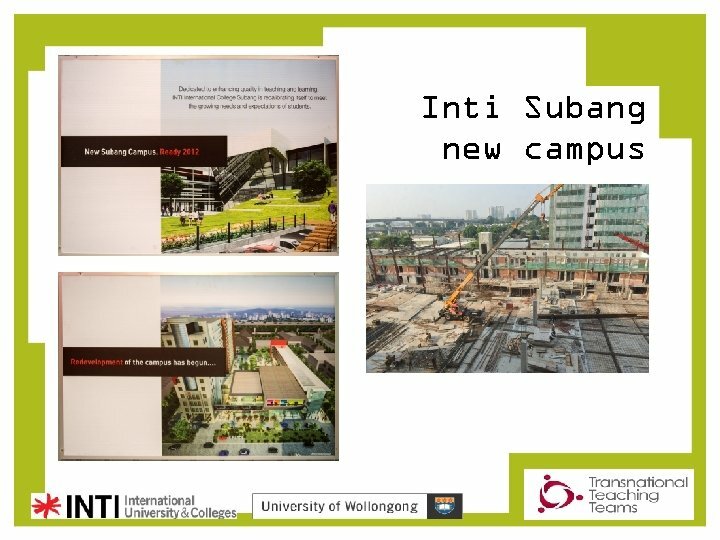 We need to go over there, they need to come here. 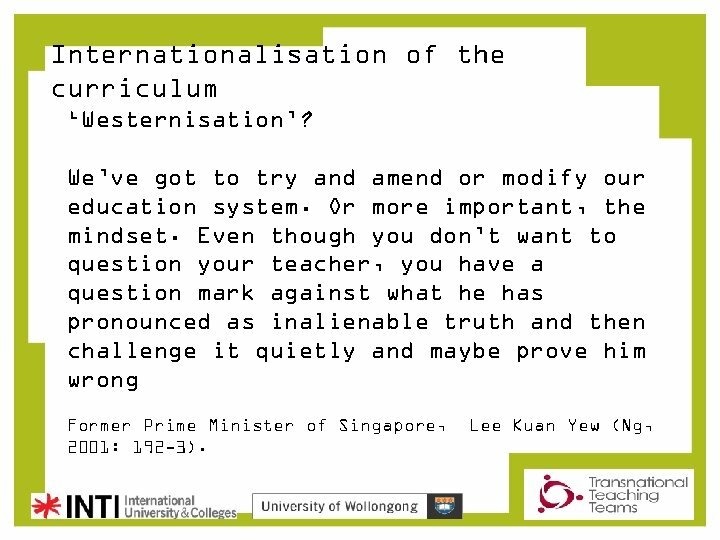 We need to use videoconferences rather than doing everything via email. 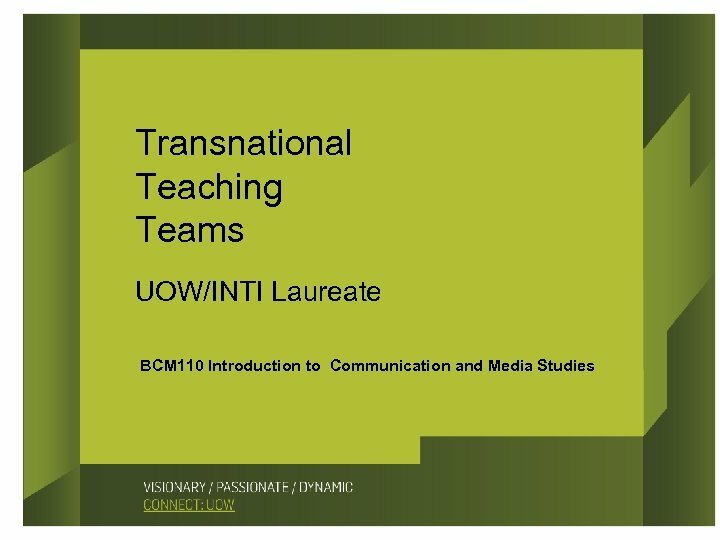 I’m a great believer in personal relationships, if you know the person it is easier to communicate. 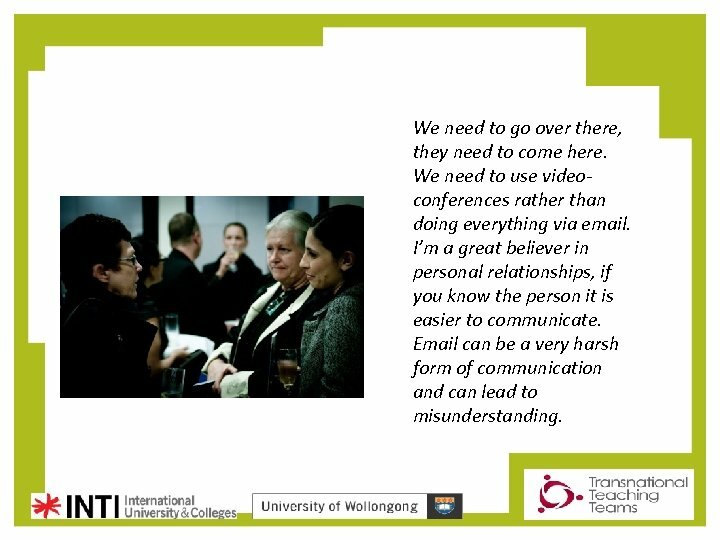 Email can be a very harsh form of communication and can lead to misunderstanding. 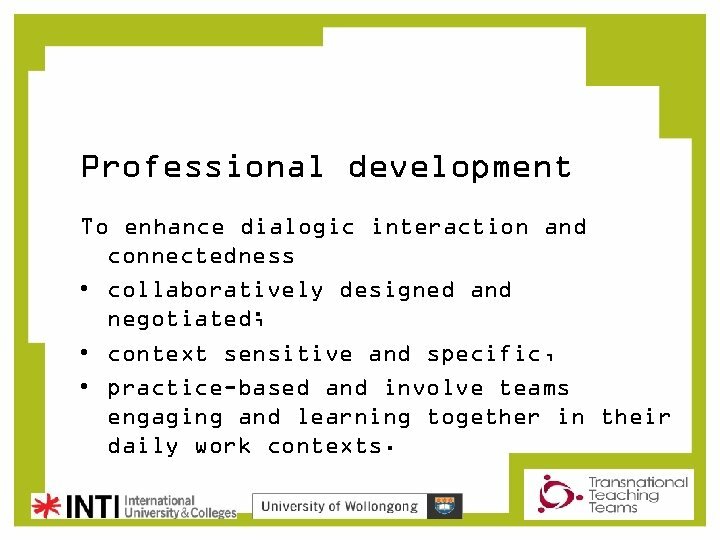 Professional development To enhance dialogic interaction and connectedness • collaboratively designed and negotiated; • context sensitive and specific, • practice-based and involve teams engaging and learning together in their daily work contexts.